These vintage, limited edition lithographic prints were all created under the watchful eye of the late Master Painter Endre Szabo during the early 1970's. 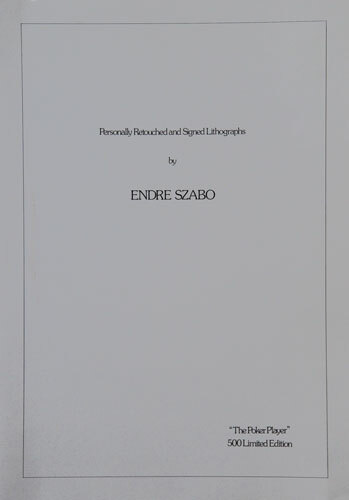 Each one was hand-retouched in pastel highlights by Endre Szabo himself and then hand-signed and numbered in pencil. These pieces are available nowhere else and have never before been sold or circulated. Limited Collector's Folder Included. We have a limited number of vintage collector's folders remaining for the Poker Player and will include the folder with the purchase of this gorgeous limited edition lithographic print. 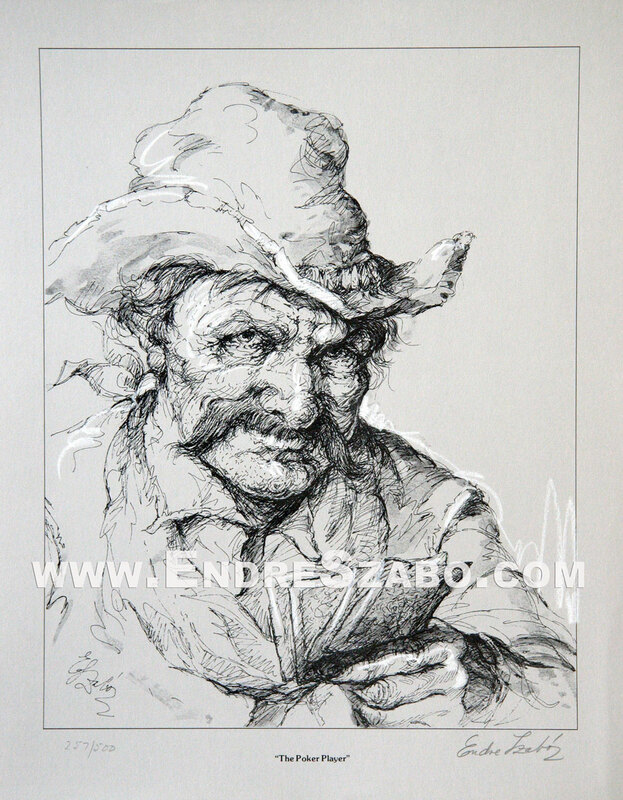 Sheet Size: 13" x 16.5"